The furniture in a home is like the painting for the room, without which it can be never complete. The pieces of furniture are very essential to make a house, a home. Without them, the home will just be a series of empty spaces. When put at the respective places, the furniture not only makes a home visually aesthetic but also be of great use to the home dwellers. They also help the homemakers to declutter the home and arrange the house accordingly. Keeping the things in the furniture makes sure that it is safe. Here are the different types of furniture according to the room and their respective placements. The living space is for everyone in the house. It is the space which should motivate the whole family to spend some time together with each other. For this, there should be a good seating arrangement. Locate a perfect space in the living room which can be either at the corner of the room for the sectional sofas or at the centre of the room for separate for comfy chairs. A coffee table at the centre of the seating arrangement is a must for keeping the drinks, newspapers even some snack plates. It makes the living space more lively. Placing a rug in the seating area will define it well and makes it look good. Another important thing in placing the sofas/chairs is that they should be placed facing each other. This will make the people sit face to face with each other and create a conversation. The bedroom is the area for oneself. It should be customized according to one’s wish. Eventually, it is also the relaxation area which is personal. The room has to be calming and should encourage a person to do some of their hobbies during leisure time. For this, the room’s layout should be properly designed. The bed should be placed before the wall on one side. 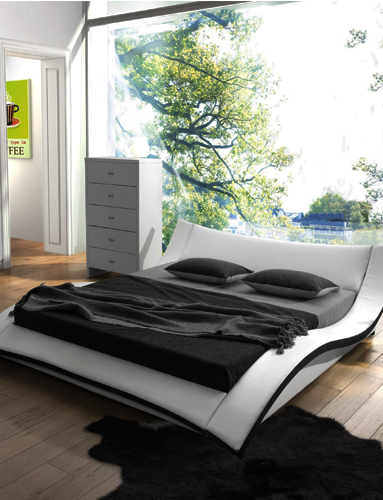 It can be customized with the type of mattress and pillows and so on. A small table lamp and a table with drawers should be placed next to the bed on anyone the side for keeping some books and water. The bedroom should always have some enough sunlight. So, if you like, customize with some french windows with curtains that can be opened during the day to let the sunlight into the room. A vanity table can be placed near the opening of the bath. It should have enough drawers for keeping the makeup and skincare products. A study table can be added if the room is large enough to hold it. The location of the table must be the place where there will be more sunlight. The sunlight will wake the person up and push them to do work. For ideas about how to make bedroom comfortable check out – How to make the bedroom more ergonomic? The main concept behind a dining room is to make everyone sit and eat along with the whole family. This can be achieved only with a proper arrangement of the room. Place the dining table at the centre of the room and keep the chairs at a good distance from each other. A separate sofa in the dining room will help in extra sitting space for the guests. Plants near the dining room will make the space greener and filled with good air. The lighting is a very important thing in the dining room. Therefore, do not put a ceiling lighting that hits the utensils. On the other hand, place the lighting around the room mounted on the walls. The backyard is the place for perfect relaxation and gardening. This space becomes very important for everyone who would like to get some outer air. Having a nice porch arrangement will not only be nice for sitting and relaxing but also completes the look of the home. A classic patio furniture with a table completes the backyard furniture set up. A swing either for children or for both adult and children will add a fun element to the backyard. A green wall – A dedicated wall near the patio for small plants in planters like herbs will add a great touch to the backyard gardening. If you have a swimming pool, then placing a canopy and some chaise lounges for outdoor will be a freshening. These types of furniture are very basic ones. You can always add some little ottomans and beanbags anywhere you wish. The furniture arrangement is always changing according to one’s taste. Make your house a home with great new furniture additions.